Fluctuations in oil and gas prices make it difficult to predict the cost of your energy bill each month. For some, dealing with the fluctuations just isn’t worth it, and alternative energy sources make more sense. Solar energy helps stabilize the electric bill, but there’s nothing for gas. Or is there? Geothermal heating draws upon the steady temperatures found at a specific depth in the earth. The technology to reach these depths is fairly straightforward. It’s how the air is brought into the home that is more advanced. While it’s cost-heavy to install geothermal, it pays for itself over time and keeps the home comfortable without relying on fossil fuels. A geothermal heat pump works by circulating an antifreeze solution through pipes buried in the ground, then drawn into the home for cooling and heating. 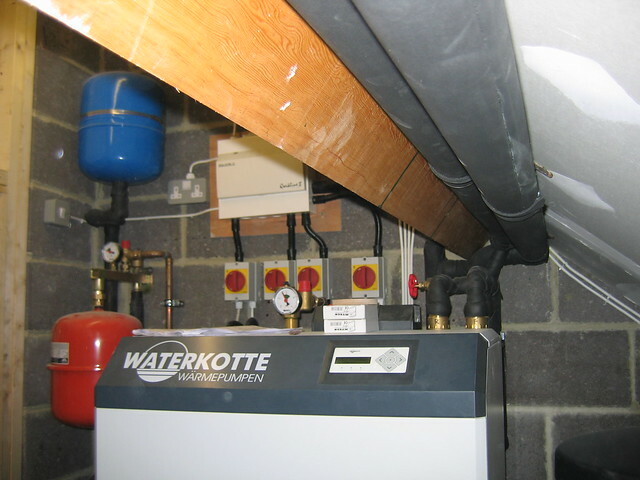 Geothermal heat uses pipes installed at a specific depth which are then connected to one another and the heat pump itself. There are a number of configurations available for a geothermal system and all are designed to work in different square footages. The basic idea of a geothermal heat pump is attaching the existing HVAC ducting to tubing or pipes buried in the ground. Liquid in the pipes draws heat out in the summer as it flows in one direction, and is reversed to draw heat in during the winter. Absorption pumps are the latest advancement in heat pump technology. They use an external heat source that includes solar, propane, or geothermal-heated water. An absorption pump uses an ammonia-water mixture to heat and cool. The ammonia gets condensed in a coil to release the heat, reducing the pressure and evaporating to absorb or release heat from the home. The concept is one of simple physics. When the pump is set to condense, the ammonia flowing through the system releases the heat evenly throughout the home. If it’s set to absorb, the fluid cools down the home. And even though the absorption pump system uses an external heat source, it’s a relatively minor amount and the cost is negligible. Not only do they save you money, they also run quietly. You’ll never know the pump is working because there is no noisy fan to distribute the air into the home. Savings on energy costs is another factor to consider even though the up-front cost of installation is expensive. Burying pipes requires the use of heavy machinery to dig down deep enough for the circulating fluid to reach optimal temps. But once it’s finished and installed, the geothermal heat pump requires far less maintenance and causes the fossil fuel bills to drop precipitously. Geothermal heating is much more efficient at delivering stable temperatures than electric energy. The amount of electricity required to run the heat pump is one-sixth that of an electric furnace, and up to one-half the cost of running an air conditioning unit. More savings are realized when using the heat pump to heat up the hot water tank through the use of a desuperheater. The desuperheater captures the small amount of heat loss from the pump and sends it to the hot water tank. No more constant running of the heating element to create hot water on demand. Geothermal heat pumps work in a variety of climates but work best where the temperatures don’t fluctuate much throughout the year. They do save money over the long run and need fewer working parts that eventually need repair, making it a sensible choice for keeping a home comfortable.